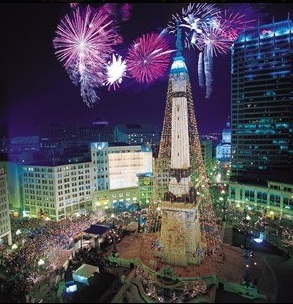 Downtown Indianapolis will be action-packed during Thanksgiving weekend, as more than 200,000 people head downtown for a bevy of events including the Circle of Lights tree lighting and a Pacers game Friday, a Carrie Underwood concert Saturday and a Colts game on Sunday. Plan to attend one or all of the above? Don't forget about parking. IndyParking.com is your resource for tips and advanced reservations. Find your event below for updated parking information and how to reserve a guaranteed space in advance.